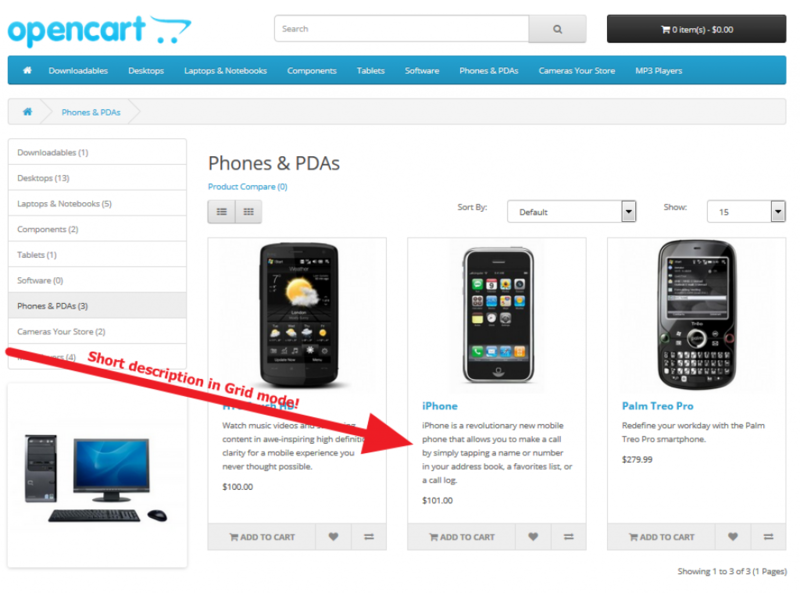 Product Short Description extension is a very good improvement for displaying product descriptions on the product page and on all product list pages like Category, Manufacturer, Search, Special, Bestseller, Featured and Latest. This extension will add an extra short description field (Summernote/CKEditor WYSIWYG editor support) into you admin product page so you can make nice short descriptions. 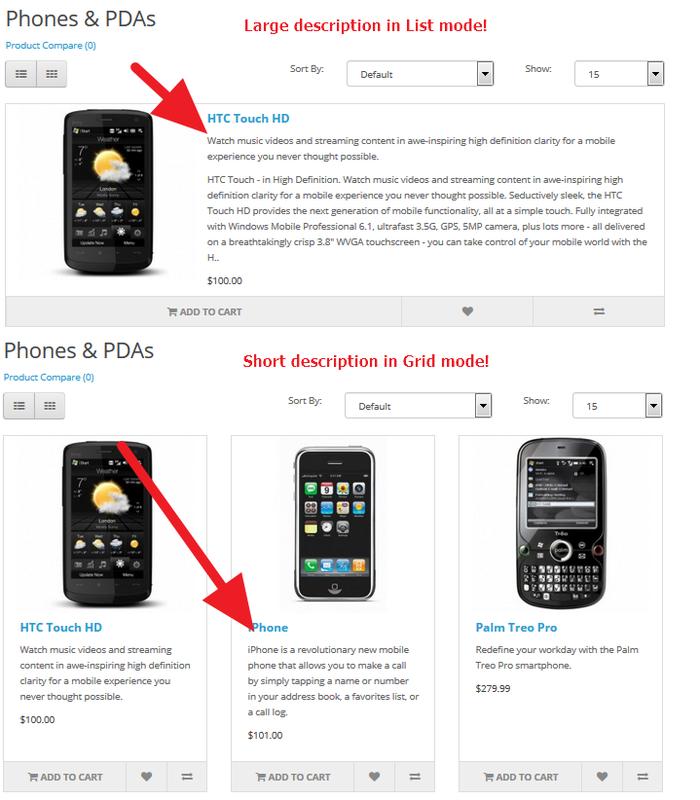 Custom styling is possible on all short descriptions like padding, font size and color. 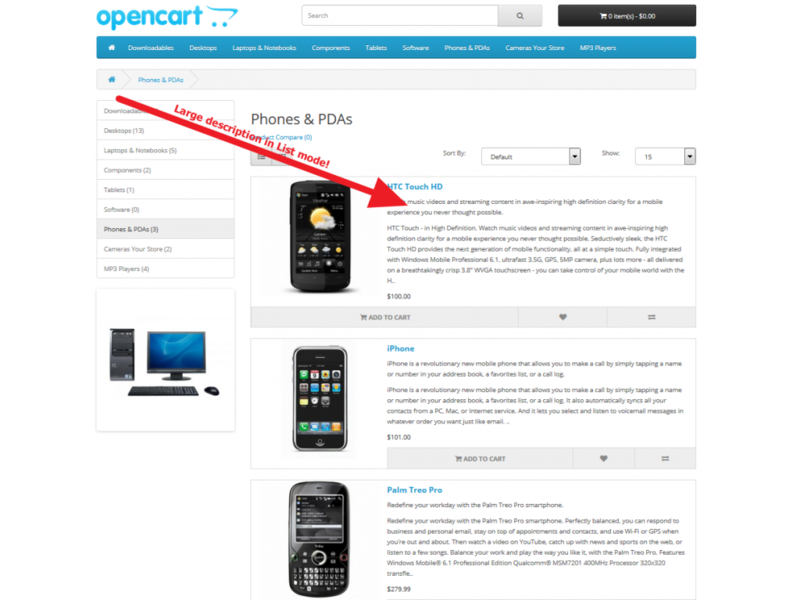 The short description can be used on all product list pages and can be enabled/disabled seperatly. 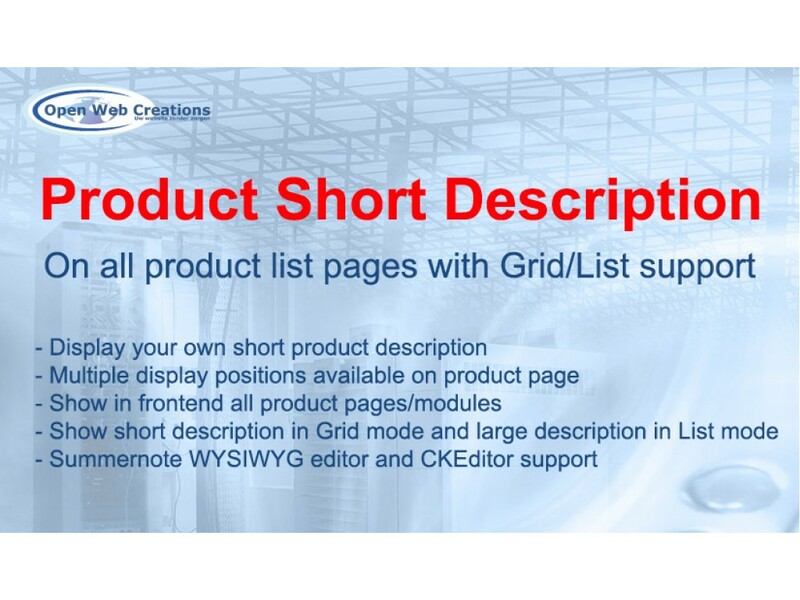 On the pages that have the Grid/List view buttons, the short description is used in the Grid mode and the long description is used in the List mode. For both the short and long description, the max length can be set in the extension settings. If there is no short description available the standard long description is used, shortened with the max length configured in the extension settings. 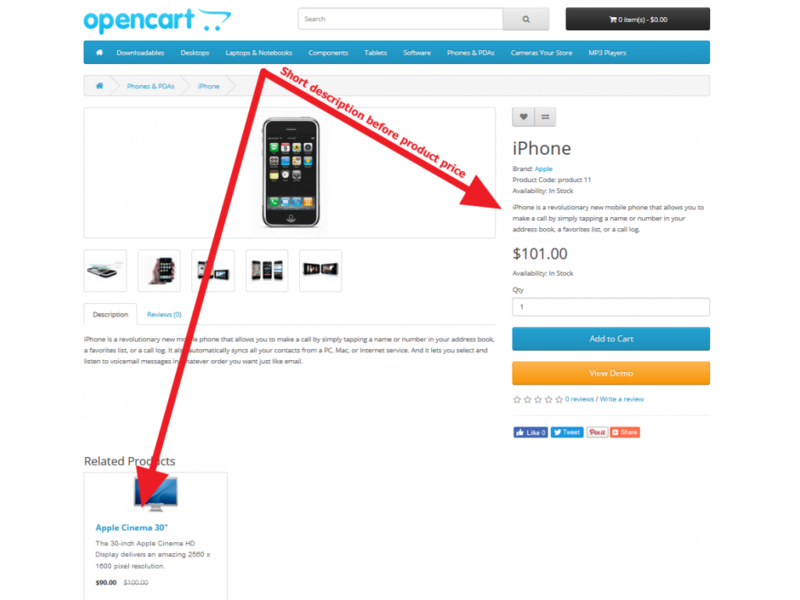 Compatibility: Product Short Description extension works well in OpenCart version 2.0.0.0 and above. 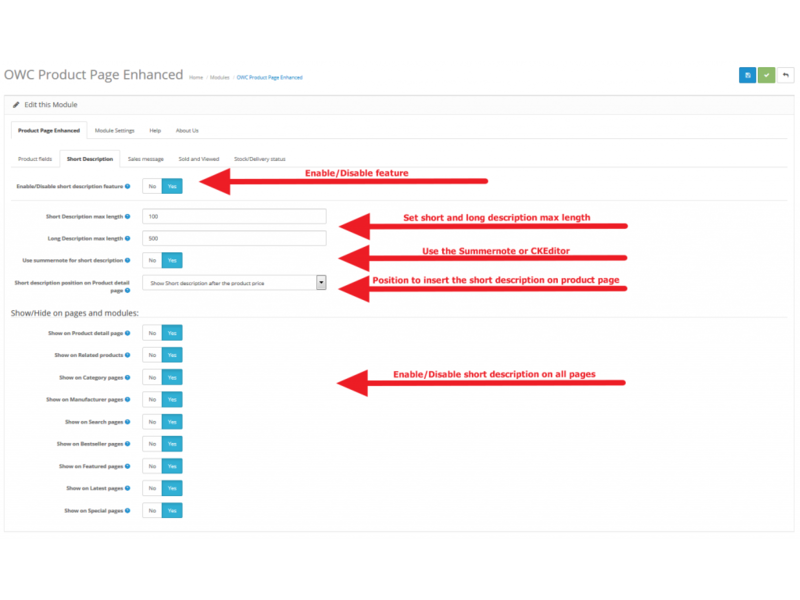 Admin manage: The short description can be used on the product page and on all product list pages and can be enabled/disabled seperatly. Also the length of the short and long description can be specified. Summernote/CKEditor WYSIWYG editor support. 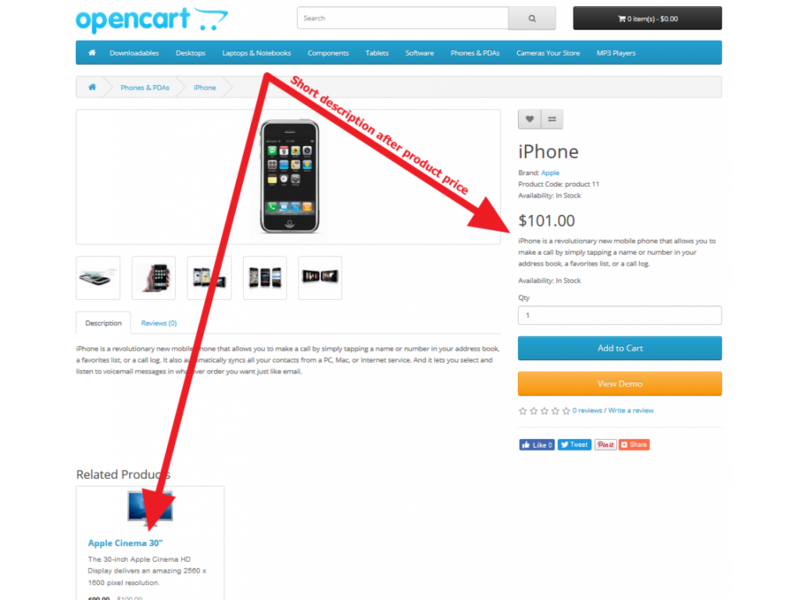 Product list pages: The short description can be used on all product list pages. 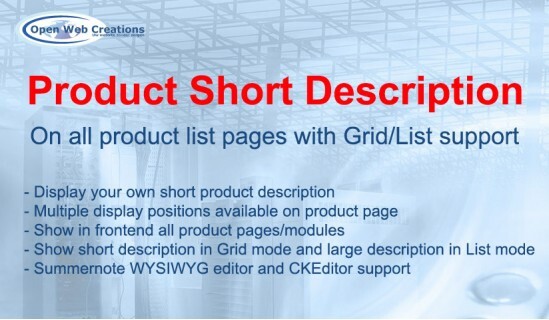 On product list pages, the short description is used in List mode and the long description is used in Grid mode. If there is no short description available the standard long description is used, shortened with the max length configured in the module settings. Custom styling: Custom styling is possible on all short descriptions like padding, font size and color. # Bug fix solved notice error when extension is not enabled. # Bug fix Using x character of the large description, remove html characters. 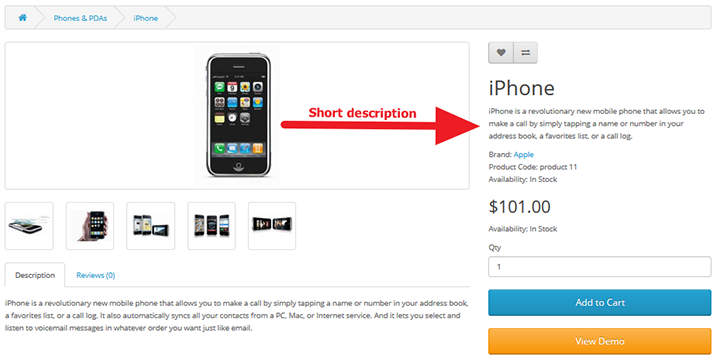 + Add separate short description max length for product page and product list pages. 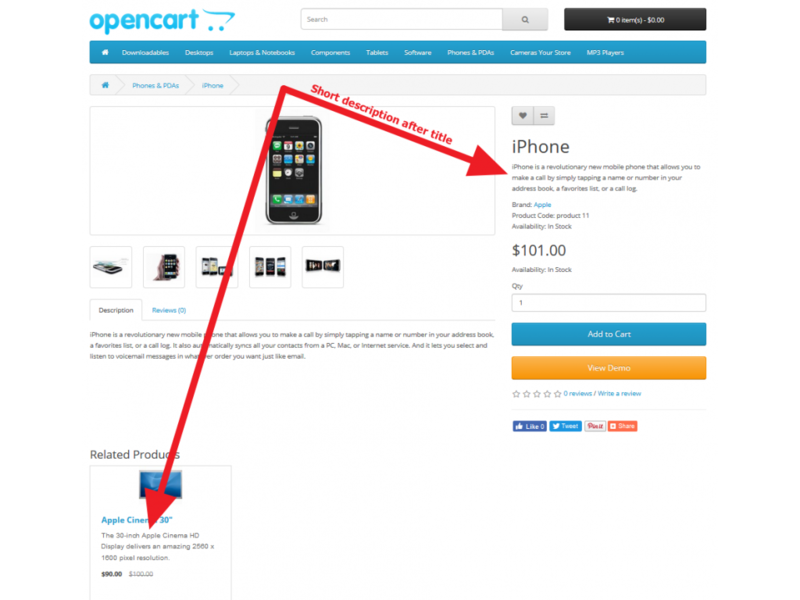 # -> Bug Fix: Summernote editor not working in OpenCart 3.